The U-Boat AIO pod-style vape by KangerTech is the latest in vaping. 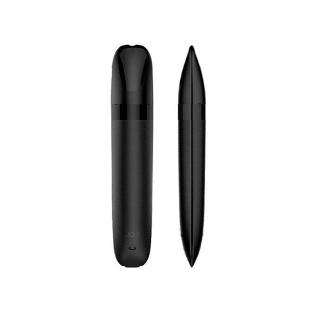 It has a sleek, portable design inspired by a submarine. Though it is a small vape, it packs power and precision into a neat little package that will fit in the palm of your hand. It has a 550mAh Li-ion battery with an output voltage of 3.7V. It also has a 2ml capacity tank cartridge that is removable and refillable. The U-Boat by KangerTech comes with a specialized DC 5V/200mAh charging dock with USB connection. This, amongst its other great features makes it a must have.